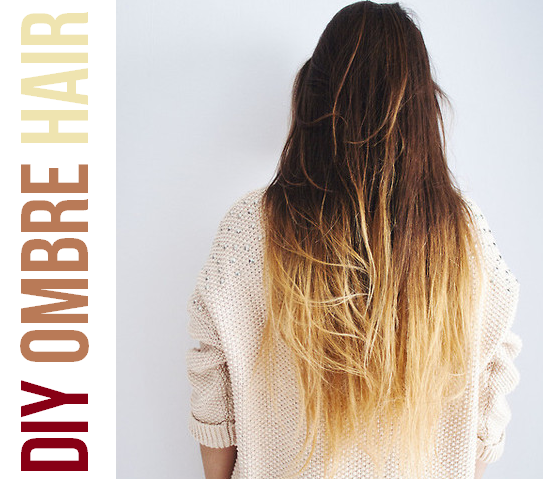 Would You Try... DIY Ombre Hair? The ombre hair trend has been in the fashion scene for a while now, with the two-toned locks gaining the attention and fan base of some of Hollywood’s leading ladies and celebrities. Celebs like Sarah Jessica Park, Rachel Bilson and Alexa Chung have all shown their love for the funky hairstyle. However, this summer has been all about bright bold colors—and hair is no exception. Recently Lauren Conrad posted photos on her blog, The Beauty Department, showcasing her new rainbow ombre hair! While her new locks are only temporary, it does add a little flair and edginess to the usual classy and elegant Conrad. Eventually the colors with fade out from natural wear and the sun, leaving behind a more pastel look. While it is daring, it is a great look for those who are bored with the traditional ombre style and for those who are not into having feathers in their hair. For those of you who are skeptical and can’t commit to dyeing your actual hair, colored hair extensions are always a great alternative. Either way you’re guaranteed to grab attention with this bold and colorful look! Are you daring enough for this bright trend?